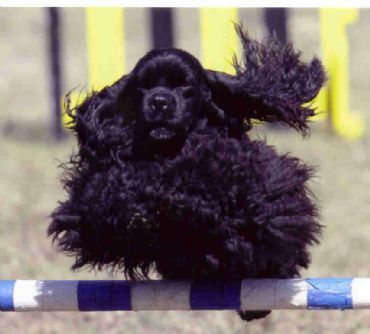 Sky has a great talent and enthusiasm for Agility, making history for this breed in the Agility ring as the first American Cocker Spaniel in Australia to achieve a Masters Title, and is now the first to achieve the title of AGILITY CHAMPION. She has qualified for the finals for the NSW Agility Dog of the Year every year since she has been competing. 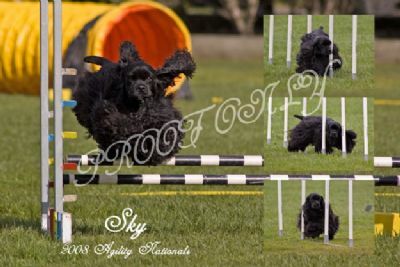 At the 2010 Agility National Titles in Perth, Sky represented the breed by qualifying 7 times for all finals, achieving a second and a third place. In the show ring she exuded confidence and excelled in movement. Sky has an interesting pedigree which combines solid and parti lines from America and Sweden. SKY also loves to demonstrate the characteristics of her breed type by competing in retrieving ability tests. 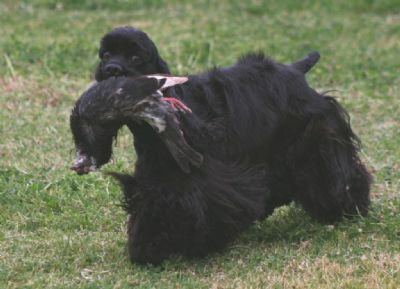 She is the First (and so far only) American Cocker Spaniel to earn a Novice Retrieving Ability title. In 2013 Sky commenced trialling in RallyO, gaining her Novice, Advanced and Excellent titles in quick succession. SKY is now 14 years old, and has officially retired from competition.